Margate City is a short 14 minute drive away from New Jersey’s trusted dentists at Mainland Dental Associates. As a practice, we are true believers that preventative care and education are the keys to optimal dental health. We strive to provide “dental health care” vs. “disease care”. That’s why we focus on thorough exams – checking the health of your teeth and gums, completing oral cancer exams, and taking x-rays. We also know that routine cleanings, flossing, sealants, and fluoride are all helpful in preventing dental disease. As far as improving your smile, we have an extensive list of Cosmetic Dentistry services such as Dentures, Dental Implants, Dental Exams & Cleanings, and more! Do you have chipped, stained, cracked, or missing teeth? Dr. Mendelsohn and Dr. Zhang want to help you correct your smile and give you teeth to be proud of! Come in for a consultation with our team to determine which cosmetic dental service or combined services and techniques will benefit you most and provide the best results. Find the age-defying, healthy and natural looking smile you imagine. Our extensive list of cosmetic dentistry services includes dental implants, teeth whitening, porcelain crowns, veneers, and dentures. Quality oral hygiene is not only important for your teeth but also for your overall health. 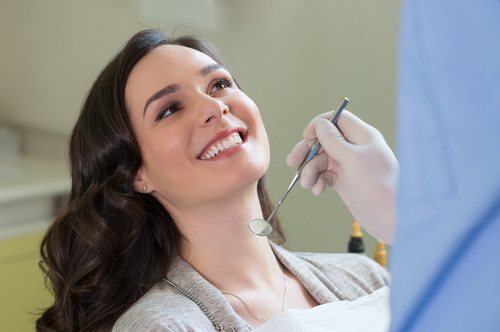 Regular dental exams and cleanings can prevent gum disease, detect oral cancer, and ensure that you have a healthy smile that you can be proud of. 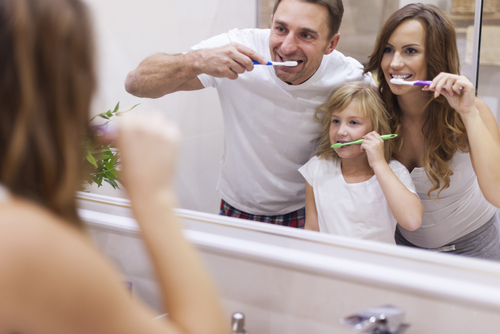 At Mainland Dental, our team of dentists and dental hygienist put your oral health first. Contact our office in New Jersey today to schedule you dental exam and cleaning to have a comprehensive exam and tooth polishing. 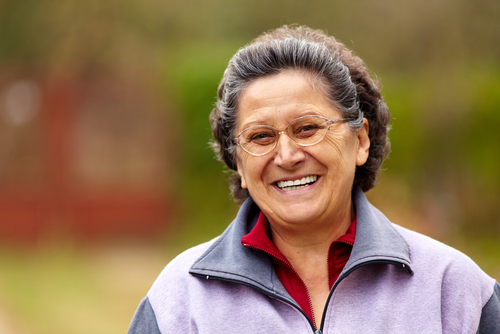 Dentures are a dental appliance replacement for missing teeth that is removable. Reasons for needing dentures include the loss of all teeth in an arch (complete dentures), the loss of several teeth in an arch (partial dentures), want to enhance your smile and facial tissues, or to improve chewing, speech, and digestion. Dr. Mendelsohn and Dr. Zhang know that getting the right fit, size, color, and shape of dentures is key to the overall satisfaction of dentures and therefore have multiple appointments with denture patients to ensure the best possible outcome. Don’t wait to correct your smile. Dental Implants replace missing teeth with artificial, permanent teeth that act and feel like real teeth. Mainland Dental also offers Zirconium Fixed Implant Bridges. A monolithic zirconium bridge is made up of solid zirconia, which is the hardest material available in dentistry today. Why is zirconia the best material to use in an implant supported fixed bridge? First, zirconia is essentially unbreakable and won’t chip or crack. It is stronger than acrylic made options. Zirconia also resists bacteria and plaque. Another reason is that it doesn’t absorb odors since zirconia does not allow fluids to penetrate its surface. Zirconium implant bridges look more natural and aesthetically pleasing too. There are no dark metals to hide and no plastic or acrylic to stain or discolor. Zirconia is tooth colored and can be glazed and stained like porcelain, maintaining its luster and shine. To learn more about your dental implant options, visit us in New Jersey. What our Margate City Dental patients say..
“Mainland Dental/Pleasantville, NJ location is by far the best dental facility in the South Jersey/Shore area. The experience with the dentist, Dr. Meldelsohn was the best by far in the past twenty years. He has an amazing desire to accommodate and work with you as a patient and gives you an immediate response as to what are the best options for the dental needs you may have as he did with me on my first visit. After three visits the procedure for a crown, filling and dental cleaning was finalized in a professional well like manner. The front desk staff, technicians and billing coordinators are absolutely great!! !